Pioneers in the industry, we offer hydraulic fitting and nipolet from India. Standard ASTMA 105/ A350 LF2. Being a customer-focused organization, we are engaged in exporting an exotic assortment of Hydraulic Fittings and Hydraulic Pipe Fitting. 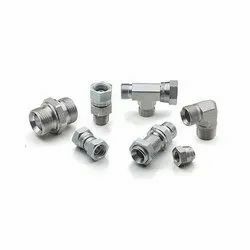 The offered Stainless Steel Hydraulic Fitting are widely used in industrial pneumatic and hydraulic operations. 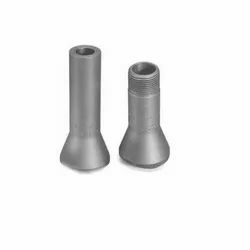 Moreover, a team of strict quality examiners stringently check all these hydraulic fittings on varied parameters to ensure their flawlessness, before the end delivery. Our esteemed patrons can avail these fittings from us by paying through variegated simple modes as per their ease. We are exporting in Bahrain, Brazil, Canada, Chile, Czech Republic, Egypt, Indonesia, Italy, Oman, Poland, Qatar, Saudi Arabia, Singapore, Uae, Uk, Usa, Germany. Standard :ASTHMA 105/ A350 LF2. We offer our clients a diverse range of Nipolets and Stainless Steel Nipolet. These products can be availed by the customers in varied specifications and find usage in power plants, chemical plants and oil refineries. The offered products can withstand high temperature and can be used as permanent or detachable thread connection. Owing to the attributes such as sturdy construction, dimensional accuracy and resistance against corrosion & abrasion, these products are widely applauded among the patrons. We are the Nipolets Exporter.